A question that we very often get asked is this: “Does the Optional Gateway ever become a requirement?" And the answer is, “Yes!" One of the most common scenarios where having an Optional Gateway setup becomes mandatory is having single sign-on (SSO) setup. In this blog post I will cover how to setup an Optional Gateway in Cognos Analytics versions 11.0.2 and 11.0.3. Those who have followed IBM’s official document on setting up the Optional Gateway and are having connectivity issues might find this guide useful. IBM seems to have left out a couple of critical steps for setting up the Cognos ISAPI which I will cover towards the end. Let’s start with a background on the architecture. **Please note, if you are on Cognos version 11.04 and up, the IIS configuration guideline can be found here. And to make this easier, IBM has a small tool you can download here to automate the process. 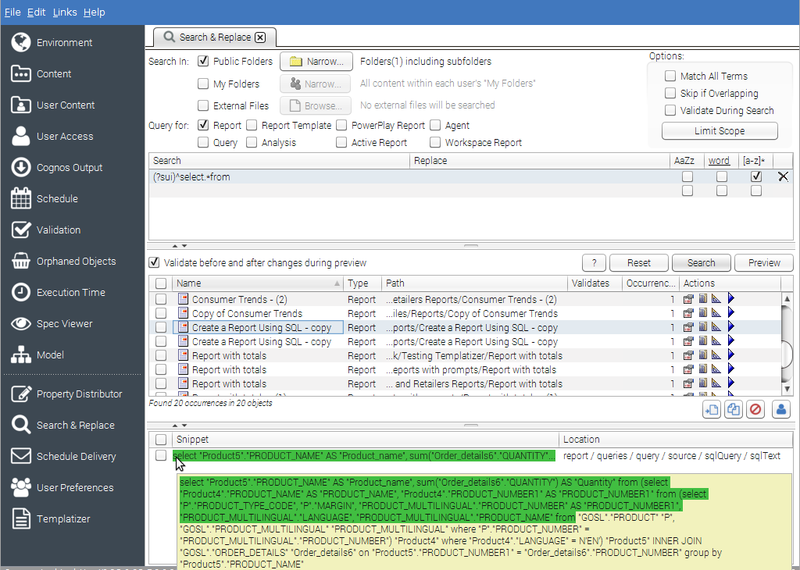 A common question that keeps getting asked of the MotioPI Support Staff is how to identify IBM Cognos reports, queries, etc. that utilize in-line SQL in their specifications. While most reports leverage a package to access your data warehouse, it is possible for reports to run SQL statements directly against the database, bypassing your package. Let's talk about why it's important to know which reports have embedded SQL.